Exceptional education is the name of classes for special needs children, but the word exceptional may also be used to describe educators who successfully teach these children. 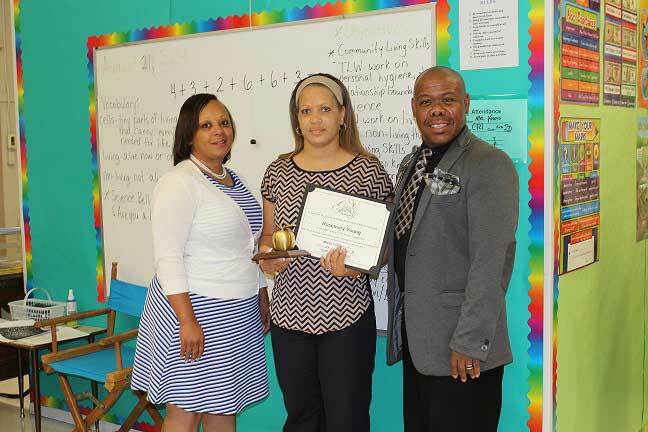 One such educator is the August Golden Apple Teacher of the Month. 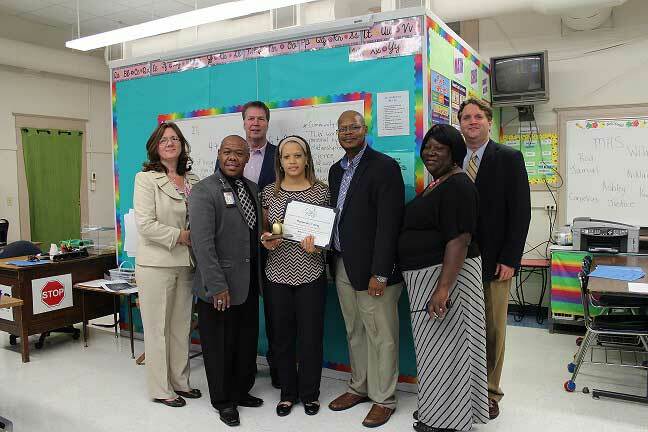 Rosemary Young is in her fourth year as exceptional education teacher at Meridian High School. 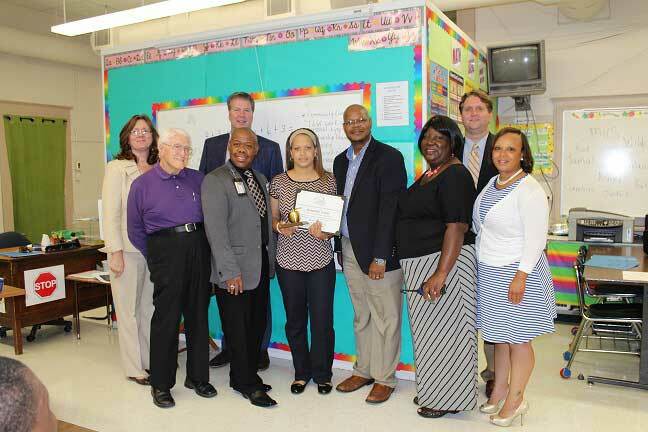 She was given the honor on Thursday when a group of sponsors surprised her in her classroom. Victor Hubbard, principal of Meridian High School, said Young is very deserving of the award. 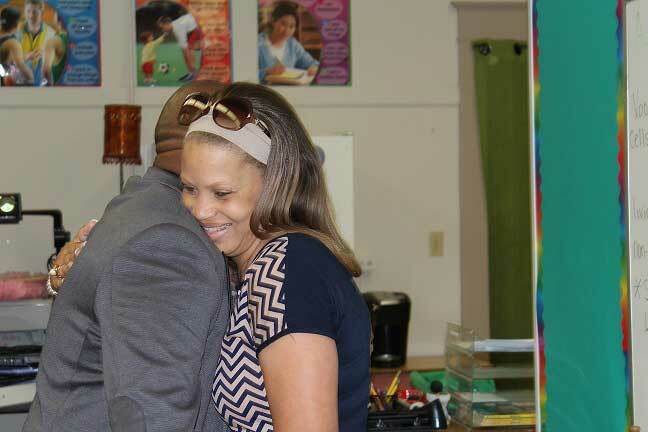 "She works with our special needs students and those are students who need a great deal of attention," Hubbard said. "She's here before 7 o'clock. Sometimes she is here until after 4 o'clock to make sure those students are receiving what they need. You just can't find a lot of people who do what she does. That's what makes her special." Dr. Alvin Taylor, superintendent of the Meridian Public School District, agreed. 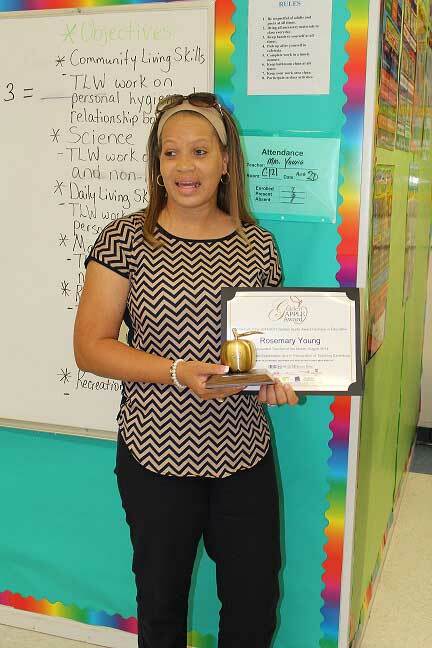 "Ms. Young is extremely deserving of this award because it takes a good heart and patience and a passion for working with our special needs children," Taylor said. "That's not just a profession, it's a calling. That type of teacher is very rare. This recognition is long overdue." 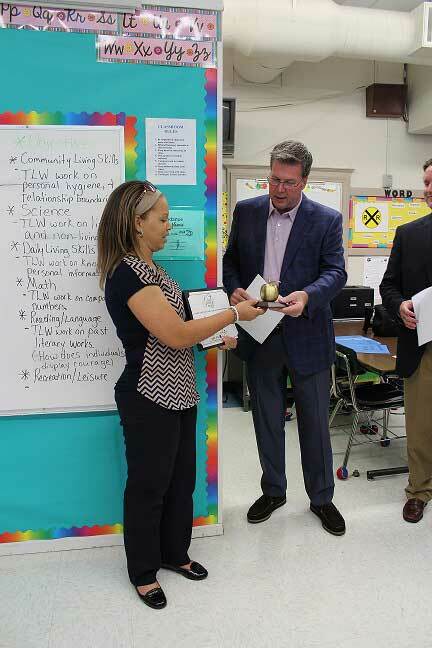 In addition to the Golden Apple trophy, Young received $1,000 in school supplies from Avery Products, and a $500 tuition voucher from the University of West Alabama. 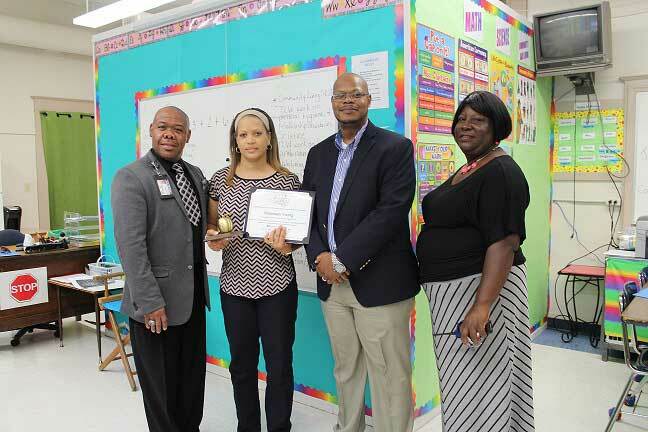 She is also in the running for teacher of the year, which will be announced on May 28 and comes with a $2,500 prize and a $2,500 scholarship for a graduating senior of the winning teacher's choice. 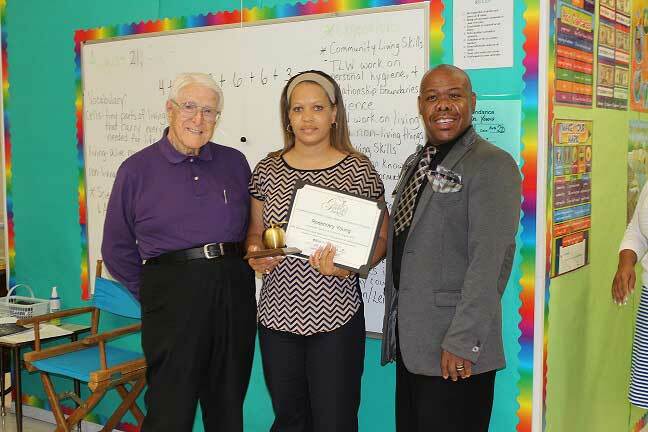 Young said she was stunned and shocked but very grateful to receive the honor Thursday. 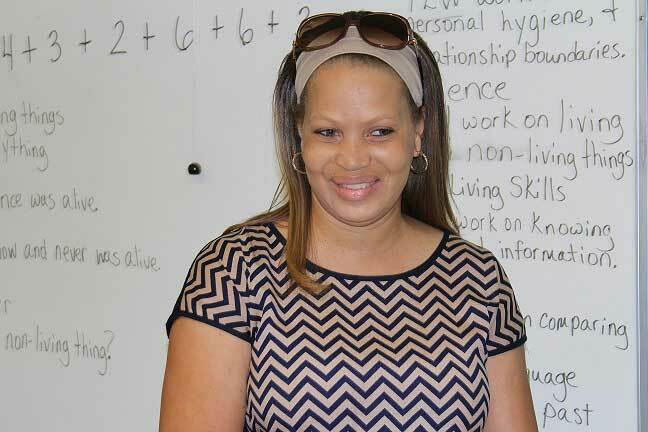 She said she started teaching at T.J. Harris Lower Elementary School in a regular classroom but as she observed instructors with special needs students, she decided to move into that area. It has been four years since she made the switch. "It has given me a better sense of understanding and compassion for the job," Young said. "We work hard at this. A lot of us give it our all. It's rewarding to be able to work with a population of students that sometimes get overlooked. I love coming to work. They make me smile every day, from the beginning to the ending."